Sieve the flour in bowl. Add sooji. Then mix well with spoon. Add salt, ajjwain seeds and methi leaves.Mix these properly. Make well in between these and oil or ghee for moyan. Then mix it with the hand. Make a tight dough with the help of water.Dough should not be soft,so use little water. Then take small portion of dough and press it unevenly with the help of your palm. Roll out little if required. Likewise make all mathris and keep aside these on a tissue paper for 2 hours. Then heat the oil or ghee and once the oil or ghee is hot lower the flame and fry the mathris till they become golden yellowish or little brownish colour.Don't fry till brown as it will give overfried taste. Take out on a tissue paper and allow them to become little cool. Store these in an airtight container. 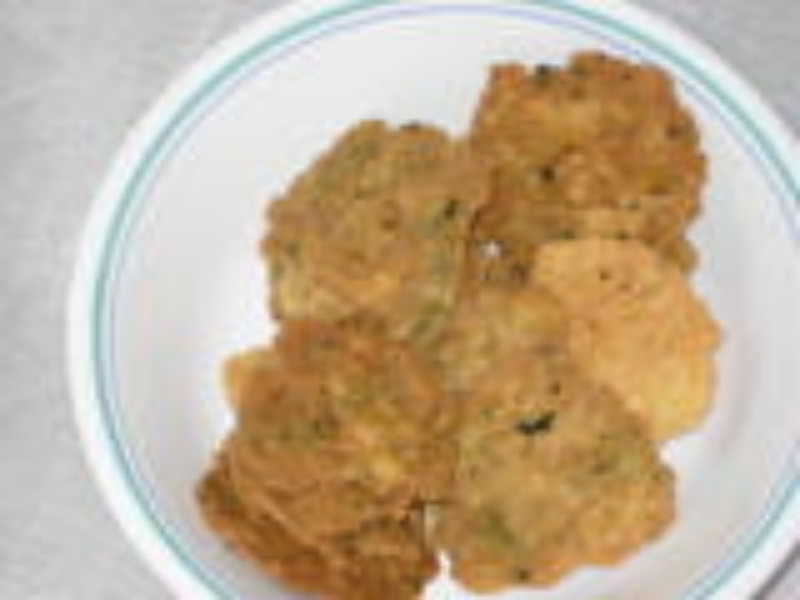 Reena your mathris are really very good but i use maida insteadnof wheat flour also crushed black pepper will make it little spicy!!! !